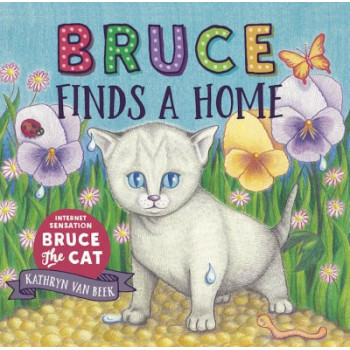 "Bruce Finds A Home" is based on the true story of Bruce the Cat, who was found on the streets of Auckland, New Zealand, when he was just one day old. At first Bruce was a tiny little creature who had to be bottle-fed around the clock, but now he's big and strong (and a little bit naughty). His story went global and now he has tens of thousands of kindhearted followers all over the world. Bruce lives with his humans and his "big sister" Jager, who is also a rescue cat. You can find out more about Bruce at facebook.com/brucethekitten or brucethecat.co.nz.